The modular valve controller MVC 1 of Gyger provides a complete solution for dispensing applications depending on customer’s needs. 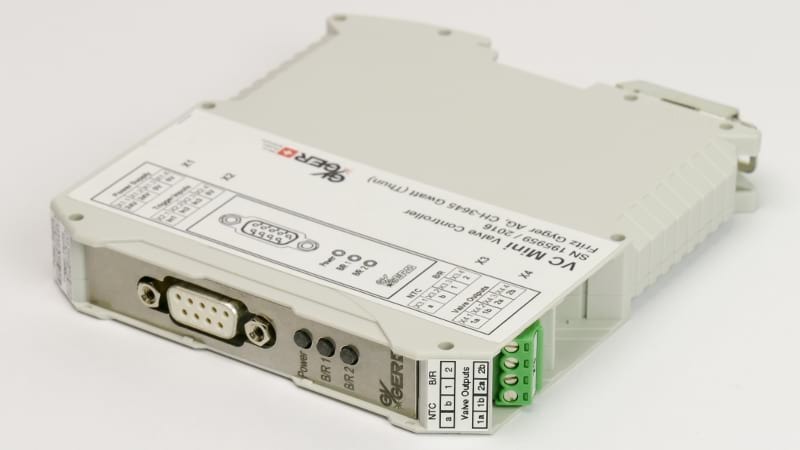 The valves and heaters will be configured by a serial interface (RS232 or USB) via Java-Software or direct with commands. 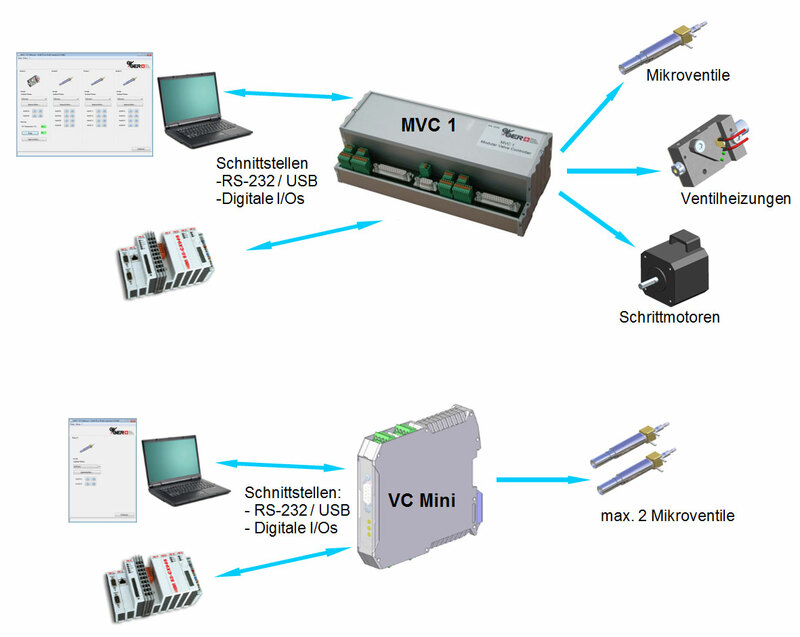 This allows the customers, focussed on the requirements of their applications, to integrate the MVC 1 as an intelligent driver module in existing systems or to use it as a capable stand alone solution. The MVC-Software (Java based) allows a comfortable handling via graphic interface. 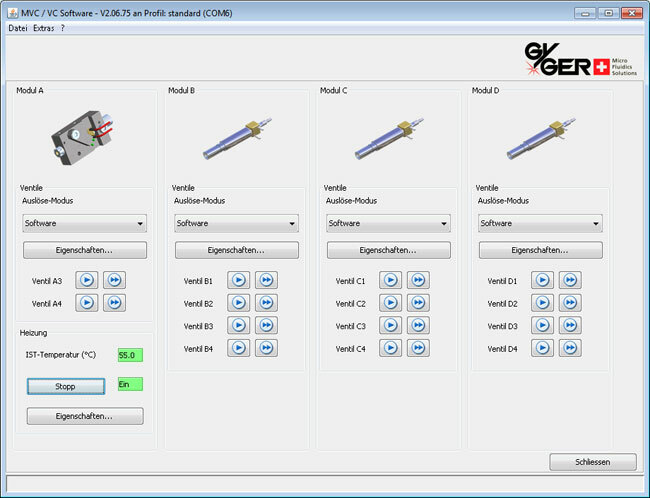 In the software all driver modules and there functions are visualized. The corresponding parameters (e.g. valve opening-time, heater temperature) can be easily set and tuned on the dispensing application. 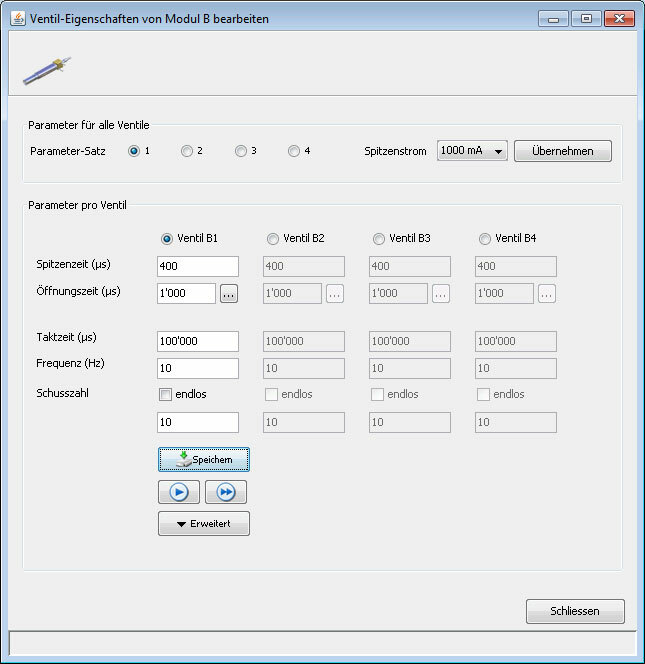 The functions can be controlled direct from the Software (e.g. triggering dispensings), in addition different modes can be set, which allows the operation only over external Hardware-I/O- signals. Complete configuration can be saved on the hard disk and reloaded on demand. Best high-speed performance of the SMLD micro valves are achieved by means of dual stage current triggering (Peak and Hold), i.e. A short actuation pulse at elevated current (Ip = 1A) effectuates an instantaneous response and a defined opening stroke of the valve. Once the valve is opened, reducing heat generation, a lower holding current (IH = 200mA) is sufficient for proper operation during the residual cycle time. When using our Valve Controller MVC 1 or VC Mini, the current profile will be controlled optimal. The 24V DCsupply-voltage is chopped highly precise by microprocessor. Further the electronic is designed to suppress the effect of self-induction in the coil occurring when the valve is cut off. Valve control scheme for continuously repeated dispensing mode with following configuration: Frequency = 1 kHz, Opening time = 600 µsec. Peak time = 200µs and Peak current =1A, Hold current = 200mA.